Apple made some bold claims about the processing chops of its newest processor, the A5X, which can be found in the new iPad. 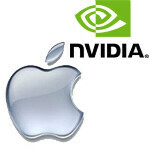 Apple specifically targeted NVIDIA's Tegra 3 processor in the claims. Not surprisingly, NVIDIA took umbrage with Apple's claims, and demanded benchmark proof. The good fellows at Laptop Mag have now provided those numbers. Of course, we don't want to just look at the raw numbers, we wanted to get into what the numbers really mean. Comparing the Tegra 3 and the Apple A5X is a tricky endeavor because the two processors are designed quite differently. NVIDIA has placed itself in the market as the first company with the next-gen technology first. NVIDIA had the first dual-core processor on the market with the Tegra 2, and it had the first quad-core processor on the market with the Tegra 3. NVIDIA also aims to be the first to have these chips in tablets and phones, so the processors have to be designed well for both. However, because of this race to be out first, NVIDIA's chips have also been branded with something of a "first-gen" syndrome, with a short time being the best and quickly being relegated to "cheaper alternative" devices, like the reported sub-$200 Nexus tablet. Sure, you're getting a "quad-core" processor before everyone, but those second-gen quad-cores (or third/fourth-gen dual-cores) from Samsung and Texas Instruments will probably be a respectable improvement over NVIDIA's offerings, and the device you've bought will have dropped in value pretty quickly. So, while the Tegra 3 is listed as having 4 cores, plus the companion core, and it has a 12-core GPU, the processor had been known to lost a benchmark battle with the A5 found in the iPad 2 and iPhone 4S. Apple's A5X has been designed for the Apple ecosystem, which is a very different beast. Apple needs to compete on some level with the hardware in the competition, but really it is more important that the processor in an Apple device be able to stand the test of time. Apple's yearly schedule means it can't come out with a sub-par processor just because it will be the first to market with a new buzz word and certain number of cores. As such, Apple designed the A5X to do what iOS is known for: graphics, both in UI and gaming. The A5X is a dual-core 1GHz processor with a quad-core GPU. It was designed by Apple and built by Samsung right here in the USA (or more accurately, in Texas). The A5X was designed specifically for the new iPad, and has been rumored to not be found in the upcoming iPhone 5, meaning Apple didn't have to worry as much about power consumption, because of the giant battery in the iPad, whereas NVIDIA had to make sure that the power needs of the Tegra 3 could scale to phones. Additionally, Apple knows that the iPad is more of a content consumption device than the iPhone, so it needed to really push the graphics power for HD video and gaming on the ridiculously high resolution iPad screen. NVIDIA needed a chip that could cover tablets with high res screens, phones with medium-to-high res screens, and be able to straddle the line between graphical prowess and data crunching power, all while being efficient enough for devices with much smaller batteries. For example the new iPad is rated for around 10 hours, but is packing an 11,666 mAh batter, while the Transformer Prime is rate for the same 10 hours with only a 6930 mAh battery. So, the A5X could afford to be less efficient and still get the battery life. Apple's original claim was that the A5X processor provided 4 times the graphical performance as the NVIDIA Tegra 3. The numbers actually do back up that claim specifically, but of course it was a very well crafted and specific claim to begin. The guys at Laptop Mag used GLBenchmark 2.1 for the graphical testing on both the new Apple iPad and the Tegra 3-powered Asus Transformer Prime. When it comes to graphical performance, the testing showed the A5X could render about twice as many frames per second as the Tegra 3 according to the Open GL 3D test. But, it was the Egypt test that (somewhat) proved Apple's claim, because the A5X was able to render four times as many texture pixels as the Tegra 3. So, yes, as far as one metric was concerned, the A5X has four times the graphical performance as the Tegra 3, and generally beat the Tegra 3 on every other graphics test as well, but by narrower (but still significant) margins. Of course, the number-crunching side of things was a very different story. Using the Geekbench testing tool, the NVIDIA Tegra 3 was found to be much faster than the A5X with an overall Geekbench score over twice as high. The Tegra 3 easily beat the A5X on integer, floating point and memory subtests, but the A5X did edge out a win on the stream subtest. On the Peacekeeper browser test, both rated the same, but the A5X was found faster on SunSpider. Of course, those browser tests could be just as much the software as the hardware. The numbers bear out what we expected from a battle between the Apple A5X and the NVIDIA Tegra 3: the Apple chip shines on graphics, while the NVIDIA chip is aimed more at data-crunching and power efficiency. This makes perfect sense, not only because of Apple's aim to market the iPad as a portable gaming device, but also because of the overall philosophy of iOS. The way the iOS system is designed, any UI interaction takes all of the processing resources when activated in order to assure complete smoothness. This means that any background processes are given a lower priority, and will be slowed down in favor of UI interactions. However, Android is designed so far more things will be happening in the background than on iOS, and those processes are given a good level of priority. This leads to some of the "lag" that some claim with Android's UI, but it means that overall, things may get done faster. NVIDIA knows this, so it has to give more priority to data-crunching for those background processes. The A5X is what it needs to be to run on the iPad, and excels there, but it wouldn't be such a great processor for an Android device. For Android, the trade-offs in power efficiency and data-crunching may not be worth the extra power in graphics processing. Of course, the Tegra 3 would be a very disappointing chip for an iPad for exactly the same reason. Sure, you could have an iPad that lasts about 16 hours, but if those UI animations aren't buttery smooth, that doesn't play well for Apple, and Apple certainly doesn't mind if background processes take a bit more time. So, now you have the numbers, and Apple's specific claim was sort of verified. But really, comparing the A5X and the Tegra 3 is like comparing running sneakers to basketball sneakers. They may both be in the same category, but they are built for different needs. the tegra 3 comes with 12-core GPU i think?? or m i mistaken? Those cores are different. ULP Geforce cores are like the CUDA cores on the PC GPU series. SGX MP-core is like a 590, but with no loss in power, four SGX543 GPUs on one die. PSVita has this GPU clocked higher and rendering Uncharted graphics at a lower resolution. Reading the Laptop Mag version ... A5X did better in the SunSpider/Java test (lower is better). You got it all wrong. A5X is much more power hungry. ...smh. i should've known that's all you would've gotten out of this article. if there was a Tegra III in the new iPad it wouldn't handle it's Retina Display well at all and would probably lag up the Tablet. like PA said each SoC is specifically designed for each Tablet and OS but if you ask me which SoC i think is more impressive i'd say the A5X. i dont know why you think the T3 would lag up the tablet. The T3 has more raw horsepower, the A5X has more GPU power... which like you said, is a design need. Android requires more horsepower to run. If it can run android smoothly, it can most definitely run iOS smoothly. i'm saying there's a chance that it would lag it up because the GPU isn't anywhere near as powerful as the PowerVR in the A5X. there's a good chance pushing the kind of pixels that the iPad version of the Retina Display has will make the Tegra III struggle. why do you think Apple would make such a signifigant boost in GPU power being as conservative as they are? my statement was purely about the GPU, i'm well aware that the Tegra III's CPU manhandles the CPU in the A5X. a few chip cycles ago maybe.. but now adays all the top end chips are more than powerful enough to run that resolution on iOS. the t3 beat the s4 while it was pushing 75% more pixels in the OneS vs oneX head to head. iOS is just a bunch of icons. were it running Android 2.1 (and its lack of CPU optimization) instead at that resolution it would probably a different story. that jump in GPU is purely for gaming and to help justify the new ipad's existence. yeah, iOS changes things for sure but i was just using that simple little fact as an example of why these chips are best for their respective devices. sure we're talking about immensly powerful GPUs here but we're also talking about an immensely high resolution too. for an Android Tablet with that Resolution i don't think a Tegra III would cut it. at least not with a Live Wallpaper or anything of the sort. Great article as always Michael. I love it when I here an Apple salesman answer is it faster with yes it has quad core graphics. Its like a politician answering about the economy. Again, I get that it's cool to hate Apple, but my God, give credit where credit is due...or just ignore the article/story all together. It's like, "Hey, I've made it so that a person with HIV can't spread the disease at all..." and folks reply, "But you didn't CURE it." It gets so old. The new iPad is a pretty solid product and does far more than what average (not nerds) folks want it for. iPods and iPads are some folks' first steps into technology because they are afraid of technology. We forget that sometimes, but Apple hasn't. That's why they've been able to capture the consumer market. If that pisses you off, ignore it. Or be a grown up and accept it and know that Samsung or Motorola is are going to try to top it and give you a better Android device. I'm an Apple guy and I LOVE when Samsung tops Apple's last release because Apple has to come back with something better. We all win. I have no problem with iDevices being products for idiots...But I do have a problem with Apple trying to get rid of all the others that, we,who don't want to use their idiot products, use. In the past, where they just stfu and sit in a corner selling their s**tty Macs, the only people who hated them where those who used Macs and iPods and had a problem with them. Now, everyone and anyone who loves technology will understand the impact of what Apple is doing to the mobile industry with their sueing and their brainwashing. Did you know because of Apple, Samsung had to push an update just to replace that overbounce effect with that ugly blue glow on the SGS2, which imo ruins the user experience quite a bit? Ok man we get it. You're practically a genius because you like to put widgets and live wallpaper on your phone. I'm not saying I'm a genius, I'm just saying you're stupid...get it right. 17. frydaexiii posted on 17 hours ago 5 1 Yeah, nice try Tim Cook... Hmm looks like someone is a troll. You've been proven an idiot earlier today and here you are trolling on acting like it never happened. Looks like you were wrong and Apple broke sales records. you probably didn't much care enough for the rooting process to work so it didn't. rooting is simple when you figure out what you're doing and the difference between rooting and jailbreaking is you don't completely relinquish your support from Google or the Manufacturer by rooting unlike what happens when you jailbreak. you're trash in Apple's eyes when you jailbreak. look who is the idiot one. samsung is the greatest apple fanboy. they were not only copied apple product design and os navigation. they also copied apple's marketing : strategy, advertisement style and apple store. the only one samsung can not do is they don't have a figure. samsung wanna be an apple. so, the truly idiot is u.